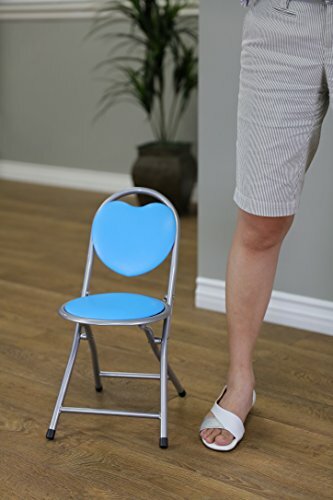 Frenchi Home Furnishing Kids Metal Folding Chair, Blue by Frenchi Home Furnishing at Indsight. MPN: BU4006. Hurry! Limited time offer. Offer valid only while supplies last. This folding chair features a contoured plastic seat and back which makes the kids comfortable while sitting in classroom, daycare center or at home. This folding chair features a contoured plastic seat and back which makes the kids comfortable while sitting in classroom, daycare center or at home. This chair is easy to clean and lightweight designed which makes it ideal to transport and setup for group activities or reading and learning. It does not need any assembling. If you have any questions about this product by Frenchi Home Furnishing, contact us by completing and submitting the form below. If you are looking for a specif part number, please include it with your message.